Fernando Torres has lifted the lid on his Chelsea horror show and admitted: "I prefer to forget it." 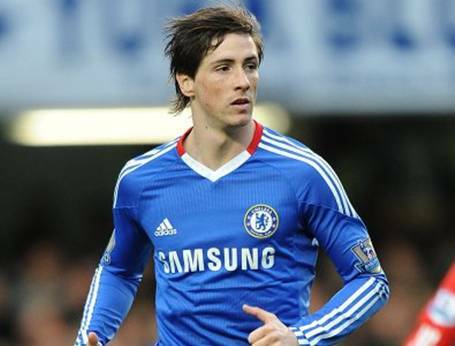 Torres, 27, came under fire after joining Chelsea in January for a record transfer fee between British clubs. The Spaniard scored just one goal in 18 outings and was widely blamed for the Blues' failed bid to retain the Premier League title. Fellow striker Salomon Kalou has broken ranks to insist that owner Roman Abramovich should not have brought Torres into the team at that stage of the season. And Torres himself agreed it had been a nightmare, scoring only 12 goals in all, nine for Liverpool, one for Chelsea and two for Spain. He said: "For me the past season was the worst since I arrived in England. The injury I sustained at the end the World Cup damaged my performance and made things more complicated than at any time in my career. Twelve goals in all in a season is nothing for me. Never during the season did I play to 100 per cent, neither for Liverpool or Chelsea. But I am not sorry I signed for Chelsea. I am convinced that when the Chelsea machine is at its full rhythm we will be very difficult to beat."